Heavenly Father, I want you to truly be God in my life. I renounce any attempt on my part to try to manipulate or use your grace and kindness for my benefit. I submit my will to yours. But Holy Father, I confess that I struggle at times with my own selfish and evil desires that lead me astray. Please forgive me when my heart is cold and my ears are deaf to your will. 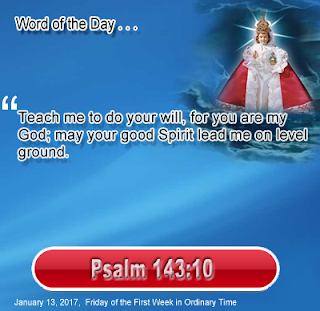 Please, take control of my life today and may the Spirit lead me on your level ground. Through Jesus my Lord, and in his name, I ask you to assert your will as God in my life. Amen.